Saint-Hubert, Quebec – February 28, 2019 – From pioneering satellite communications technologies to building the ‘Canadarm’ and space-based radar systems, Canada has made key contributions to space science and technology for close to six decades. Investing in science, innovation, and research unlocks new opportunities for economic growth, creates thousands of jobs for hard-working Canadians, and helps us understand the world we live in and our place in it. It will also help grow innovative Canadian companies of all sizes by supporting the development of new digital and artificial intelligence-based technologies, and by opening new markets for Canadian businesses. The investment includes $150 million over five years in support for a new Lunar Exploration Accelerator Program. 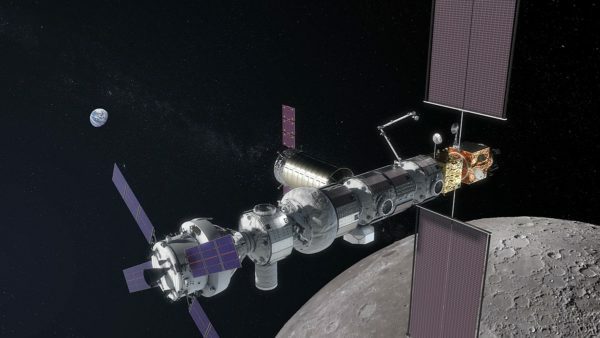 Drawing on Canada’s expertise as a world leader in innovation, this program will help small and medium-sized businesses in Canada develop new technologies to be used and tested in lunar orbit and on the Moon’s surface in fields that include artificial intelligence, robotics, and health. Later today, in a town hall with Canadian students, the Prime Minister will also launch a junior astronaut recruitment initiative to begin this fall. The initiative will inspire the next generation of astronauts and get young Canadians excited about careers in science, technology, engineering, and mathematics. Top-performing participants will train with astronauts at the Canadian Space Agency headquarters. Space exploration increases our knowledge of our planet and universe, and encourages research and discoveries that will create new business opportunities here in Canada and improve our daily lives. Through these investments, the Government of Canada is supporting future generations of innovators and explorers, and ensuring that Canadians are ready to take advantage of the jobs and industries of tomorrow. Canada’s space sector employs 10,000 highly skilled workers and generated $2.3 billion for Canada’s economy in 2017, and over $2.1 billion in export sales. The Government of Canada has invested more than $550 million since 2015 in Canada’s space sector, extending our participation in the International Space Station, providing funding to the Canadian Space Agency to test technologies in space, and helping Canadian companies scale up through the Strategic Innovation Fund. This funding includes an investment of $100 million over five years in Budget 2018 to leverage Canada’s expertise in satellite communications technologies for space and advance these promising technologies to create economic and social benefits for Canadians. In 2017, Canada launched a $125 million Pan-Canadian Artificial Intelligence Strategy to retain and attract top academic talent, and to increase the number of post-graduate trainees and researchers studying artificial intelligence and deep learning. View original news release by the Office of the Prime Minister of Canada. Canada must continue to be a spacefaring nation. Here’s why.